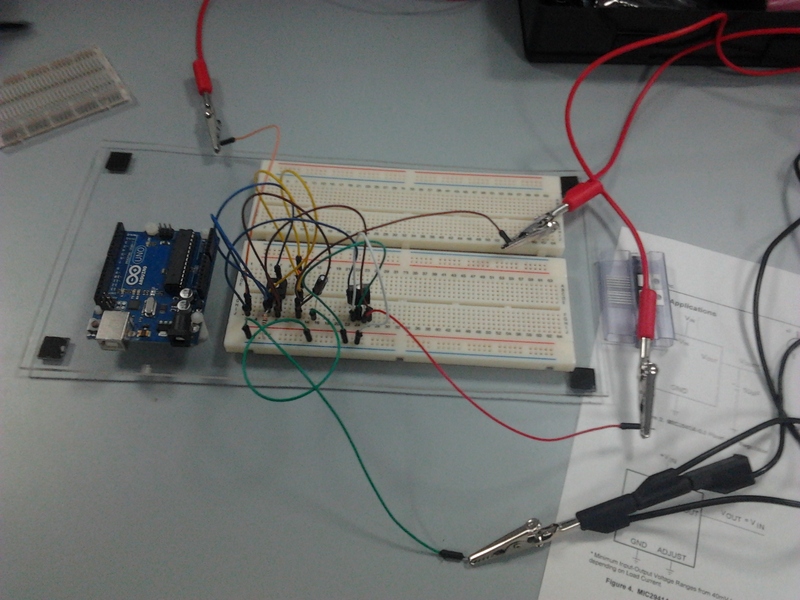 So yesterday I had no lectures, so instead of spending my time working on assignments that I don’t have, I decided to go into the engineering lab and prototype the MIC2941 adjustable voltage regulator circuit. The datasheet for the 2941 contains a example circuit with maths to go with it. This circuit should be capable of outputting between 1.2v and 26v, perfect for what I want to do. So in the lab I found the components I needed, and set to work. In order to calculate the values on R1 and R2 I used the equation provided, Vout=Vref(1+(R1/R2)) re-arranging so that, R1/R2=(Vout/Vref)-1. With this I then had a ratio that I could scale to any values I wanted. Due to the output voltage being limited to between 1.2v and Vin – 1v I chose to aim for a output of 15v initially, because the power supply unit’s (PSU’s) my university have on workbenches only go up to 20v. 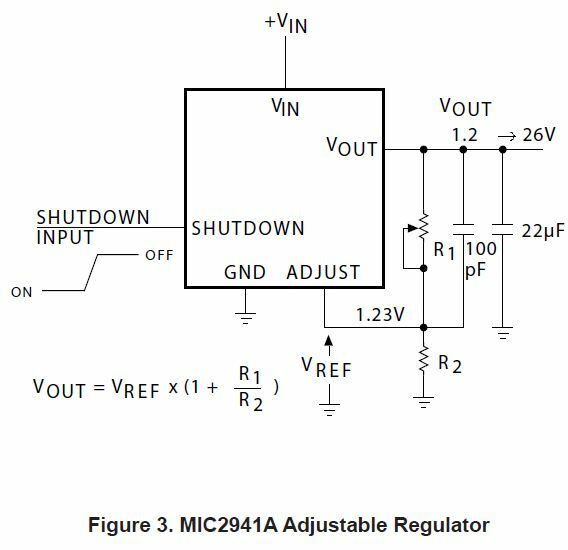 As seen in the video below, with the reference voltage at 1.2 – 1.3v (poor resolution on the power supply’s behalf) and 19.9v on the input, the output voltage seems to fluctuate between 6.6v and then back up to 15.1v and back down. My plan in the next couple of days is to hock it up to the oscilloscope and investigate the input current, which was limited to 0.5A by the PSU.